This app for your mobile telephone (iPhone, Blackberry, and Android) alongside your iPad allows you to manage all that you had spent on your trip. 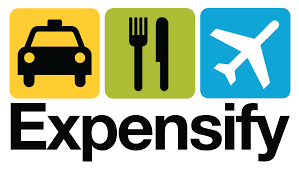 You can scan your receipts and tally up how much you spent utilizing Expensify's own system. Have analytical reports to see who's spending the most in your company. You can track how much mileage you've gone through during the day (i.e., from the Golden Gate Bridge to Golden Gate Park). You can sync up your reports with Google apps as well as Quickbooks in order to get the pristine accounting look that you might want. This product seems great for the everyday consultant who would use their expense account for the majority of their travels. What do you think? Let us know in the comments below!